You know we are always looking for the best board books, and these are some of our favorite unique baby books for your toddlers. Check it out! Tired of the classics? 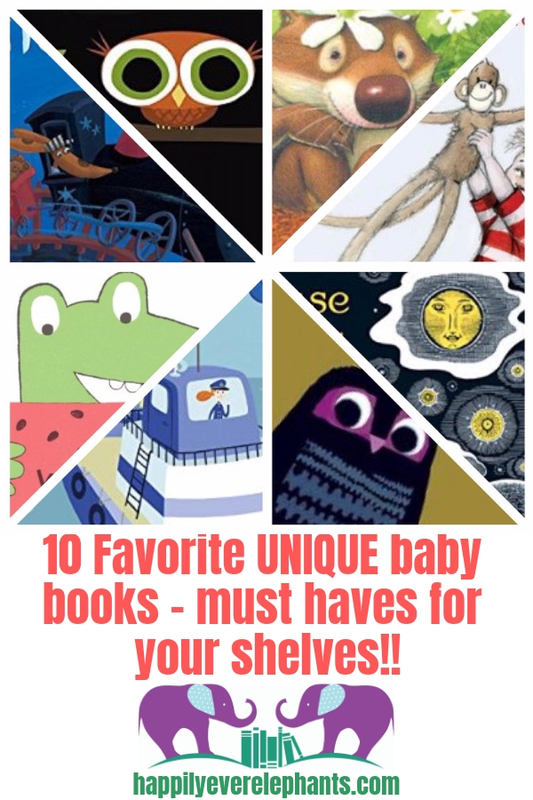 Read on for some fabulously unique baby books that you need on your shelves! Board books and babies go together like peanut butter and jelly- you must never have one in the home without the other! I'm constantly asked for my top picks when it comes to the best board books, particularly ones that are a bit more unique than the Goodnight Moons, Dear Zoos and Little Blue Trucks of the world. Don't get me wrong- we actually adore each of the foregoing stories, but often times friends are looking for more unique board books, especially if they are planning to either (1) purchase a gift for a new baby, or (2) add some new titles to their home collections, particularly when a second or third baby are arriving. So whatever the reason, here is a list of some fabulous, unique baby books that sometimes fly a bit under the radar but are just as deserving (if not more so!) of a spot on your shelves. 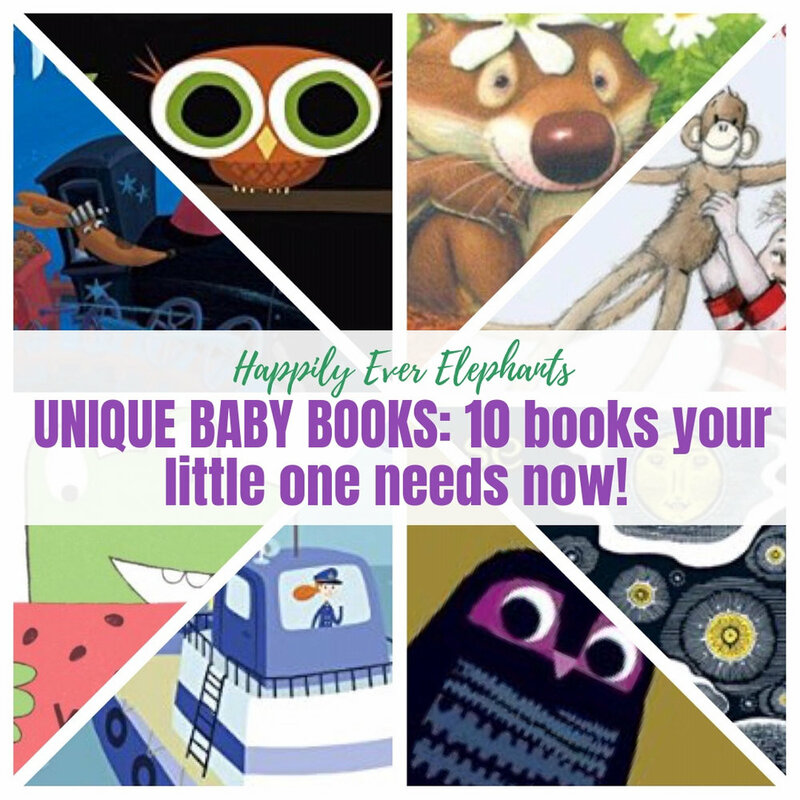 Unique Baby Books We Absolutely Adore! The House in the Night, by Susan Marie Swanson, illus. by Beth Krommes: If you love Goodnight Moon (or, perhaps, if you are in the camp of people who do not like it at all!) then you must check out this elegant book immediately. Gentle and lyrical prose inspired by cumulative poetry combines with exquisite scratchboard illustrations to make this story an absolute winner. This book is bedtime perfection, a quiet good night book sure to lull your child to sleep with its dreamlike narrative and pictures. Little Owl Lost, by Chris Haughton- This is such a sweet story about a little owl who falls from his nest while sleeping. The baby then encounters a series of mishaps as the animals in the woods help him find his way back to his beloved mother. So much fun. There's nothing like a mother's love and anguish for her little ones to rope in a child! 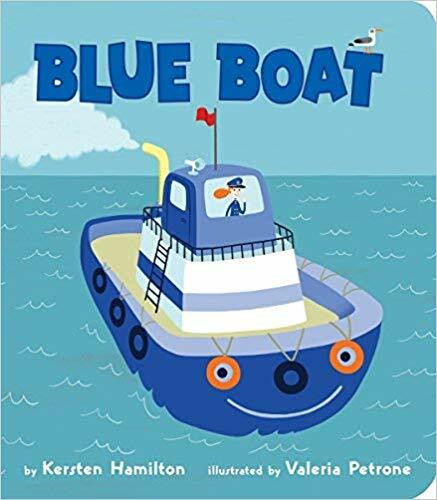 Blue Boat, by Kersten Hamilton, illus. by Valeria Petrone: Mayday! Mayday! This is one of three books (Yellow Copter and Red Truck are the others) in an adorable series for your vehicle loving little ones, each of which is about a brave vehicle that rescues people in tricky situations. Here, only the tough blue boat can handle treacherous waves and winds to save a family stuck at sea during a storm! If your kids love the Little Blue Truck books, they are sure to love this unique board book series. Everywhere Babies, by Susan Meyers, illus. by Marla Frazee: If you love Ten Little Fingers and Ten Little Toes, you must add Everywhere Babies to your collection. This is a fabulous book to showcase how babies all over the world do the same things- from eating to playing to getting toted around by exhausted parents. With engaging rhymes and expressive illustrations featuring multiracial babies, this is a must for your library! Shhh! This Book is Sleeping, by Cedric Ramadier, illus. by Vincent Bourgeau: This is a great bedtime book for those of you with little ones who thrive on routine and love to care for baby dolls and stuffed animals. It also gives power to kids who often feel that bedtime is an overwhelmingly powerless situation. Your child will love helping the book complete its bedtime routine before tucking it into bed. Such a gem, and a fantastically unique board book! For our full review of Shhh! This Book is Sleeping, click here! The Watermelon Seed, by Greg Pizzoli: If you are looking for a book to make your little ones squeal with laughter, this is it. From the "chomp chomp" sounds, to the fear of a watermelon seed growing within the tummy, to a great big final burp, this book makes both my boys and me laugh out loud every time we read it. Bright colorful illustrations and a zany story make this a total winner. For our full review of The Watermelon Seed, click here! Monkey and Me, by Emily Gravett: This is one of those books that is on constant rotation in our house. Simple, rhyming prose and adorable illustrations create a story that my oldest (age 3.5) believes he can "read" all on his own, and there is nothing better for instilling confidence in your budding bookworms. Babies will love the song-song rhythm, and big ones will love showing off their skills as they turn the pages and tell the story to their parents and friends. A must have, unique board book for your bookshelves. It always surprises me that more people don’t know about this one, because its such a gem! For our full review of Monkey and Me, click here! The Goodnight Train, by June Sobel, illus. by Laura Huliska-Beith: This was a favorite in our house for months, as we adored it's rhythmic prose and sweet illustrations which never lost their magic on subsequent reads. Full disclaimer, Pickle also went through a stage where he only liked books containing pictures of cookies-- another reason he loved this one so much! The noises of the train work in perfect harmony with favorite bedtime sounds, resulting in a read aloud that will calm your child and help lull him to sleep. Little Owl's Night, by Divya Srinivasan- This is a fabulous, nuanced take on the traditional bedtime story, highlighting how the night is a wondrous place for those animals lucky enough to be awake for it. The narrative is beautiful, and the owl's genuine appreciation for the moon and the night creatures is heart-melting. How could the day be any better? Little Owl will never find out- because as Mama tells him about the sunrise (all while the sun is depicted creeping higher and higher into the sky), Little Owl falls sound asleep. Such a charmer, and a beautifully unique baby book! Sometimes I Like to Curl Up in a Ball, by Vicki Churchill, illus. by Charles Fuge: Oh, how we love this book! For those of you with older toddlers, anywhere from 15 months and up, this is such a fun book to act out and get down right silly with. I'll never forget my kids making goofy faces and pigeon stepping around and around before falling down on their floors in endless giggles. Such a fun read with a sweet, sweet ending. One of our all time favorite unique baby book! Hope these unique board books get two trunks up in your homes as well. Happy reading! DID YOU LIKE THIS POST ABOUT UNIQUE BABY BOOKS? WE THINK YOU’LL LOVE THESE, TOO!